Manta Point is a great spot for reef sharks and seasonal manta rays. Located on the South East of Gili Trawangan, Manta Point is one of the best opportunities to see Reef sharks around the Gili Islands. 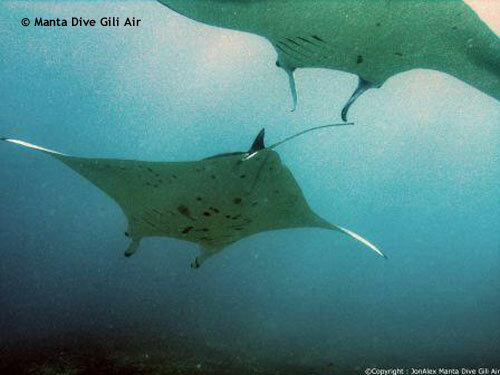 Despite the name of Manta Point these wonderful creatures are only more common during the rainy season. But for Sharks this is one of the best chances. As usual you will find Turtles at Manta Point, as well as some of the other big fish such as Tuna and Dog Tooth Tuna. Also common visitors to Manta Pont are the blue and masked spotted rays, plus also the odd chance of Eagle Rays or Bull Rays.